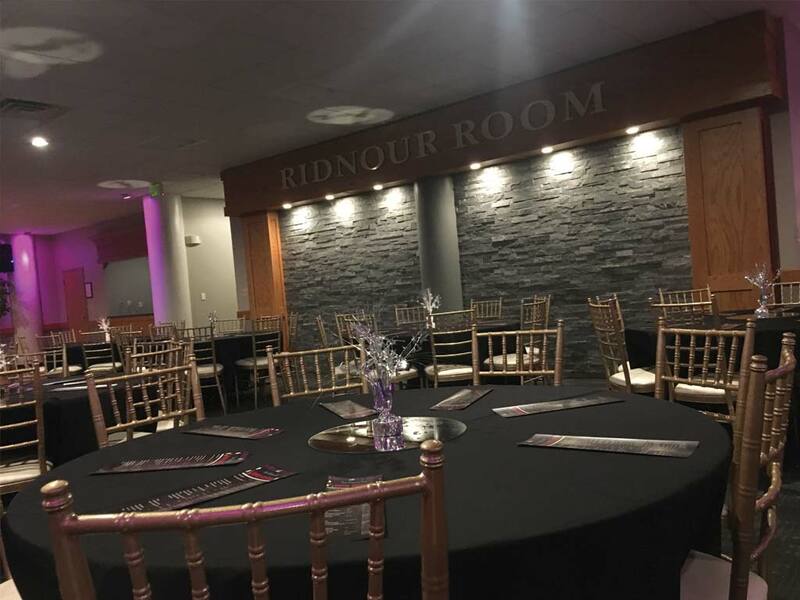 The Ridnour Room provides a large formal great room with seating up to 285, complete with outstanding acoustics and projector system, a large dance floor with a built in DJ booth, LED lighting with the ability to chose your own colored setting, a large kitchen and adjacent room for a double buffet line dinner set-up, and a centralized built in beverage area with a commercial stainless steel refrigeration system. 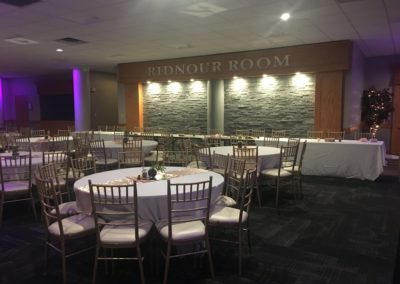 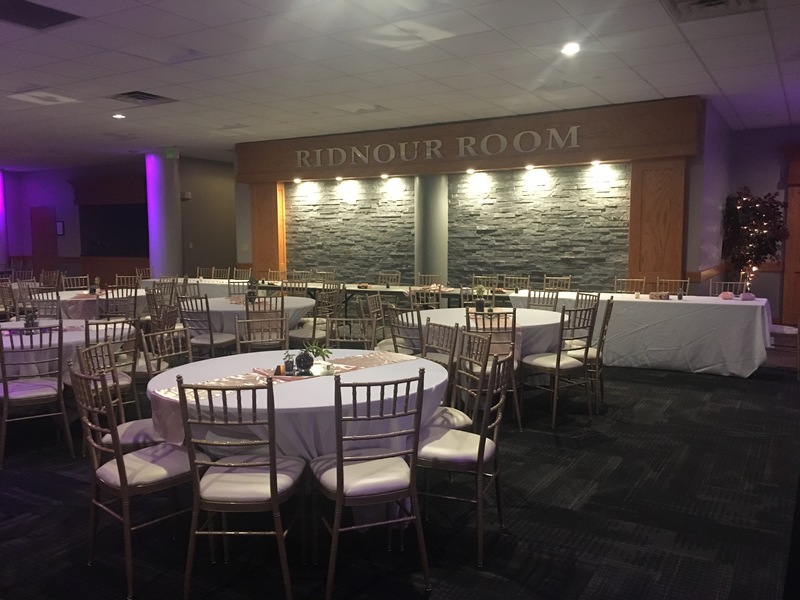 During Fall 2017, The Ridnour Room was completely remodeled from floor to ceiling. 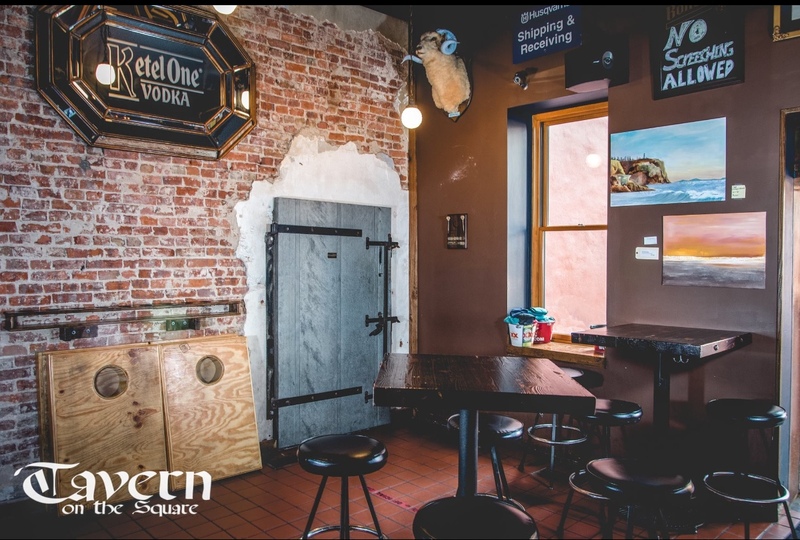 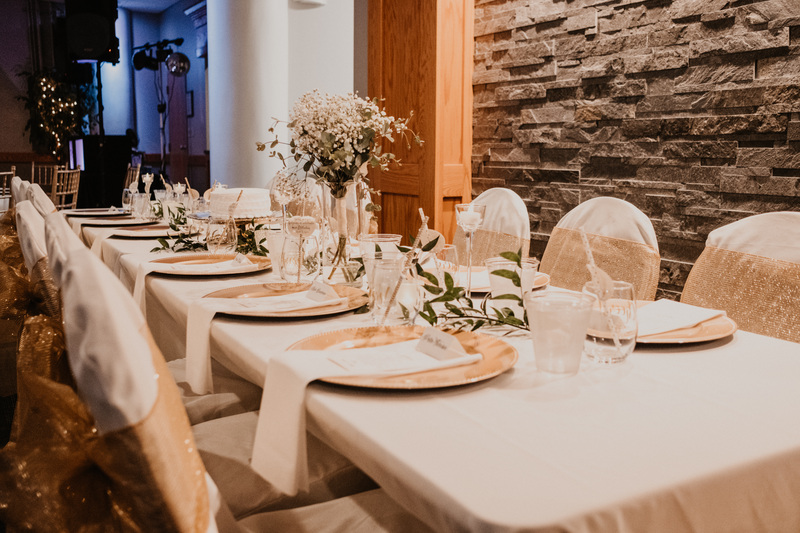 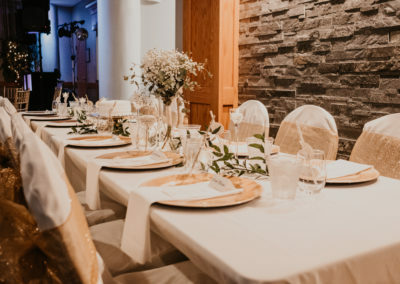 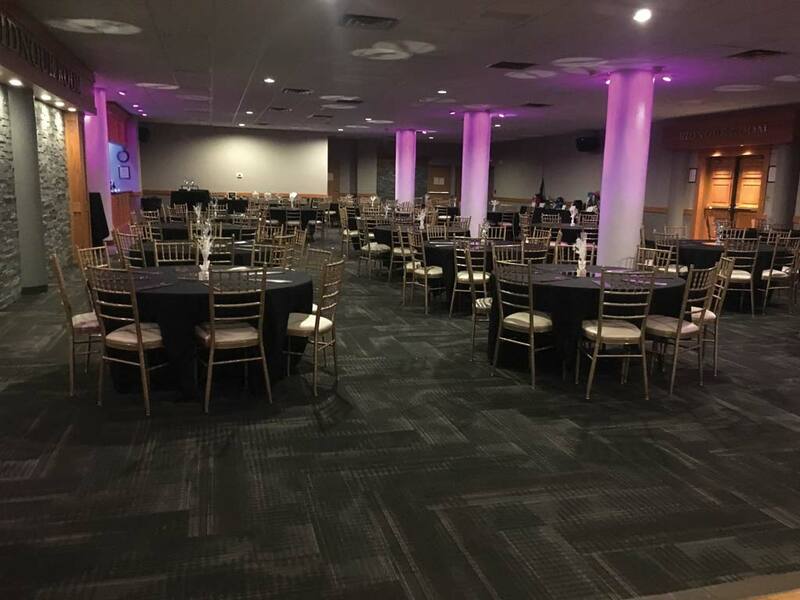 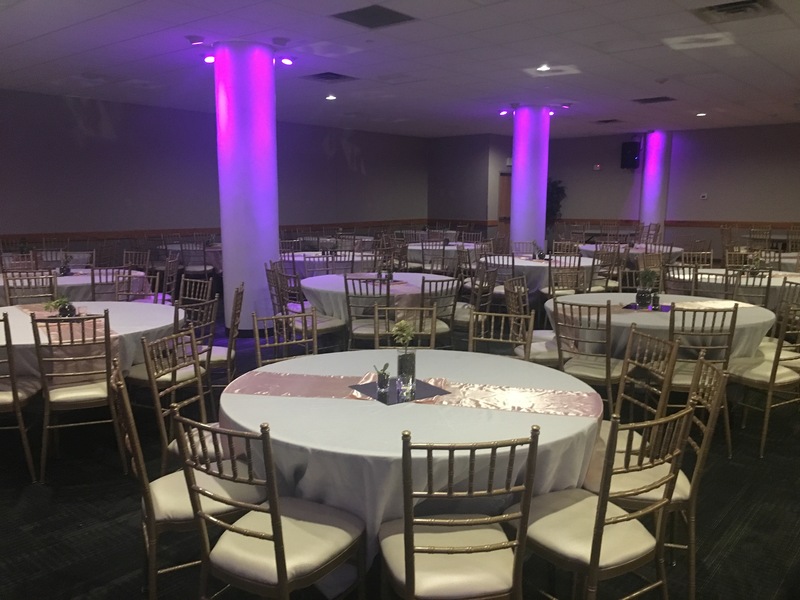 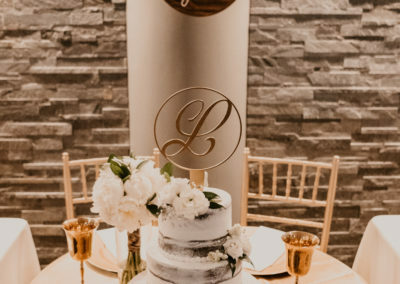 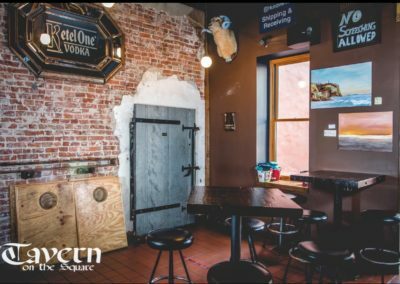 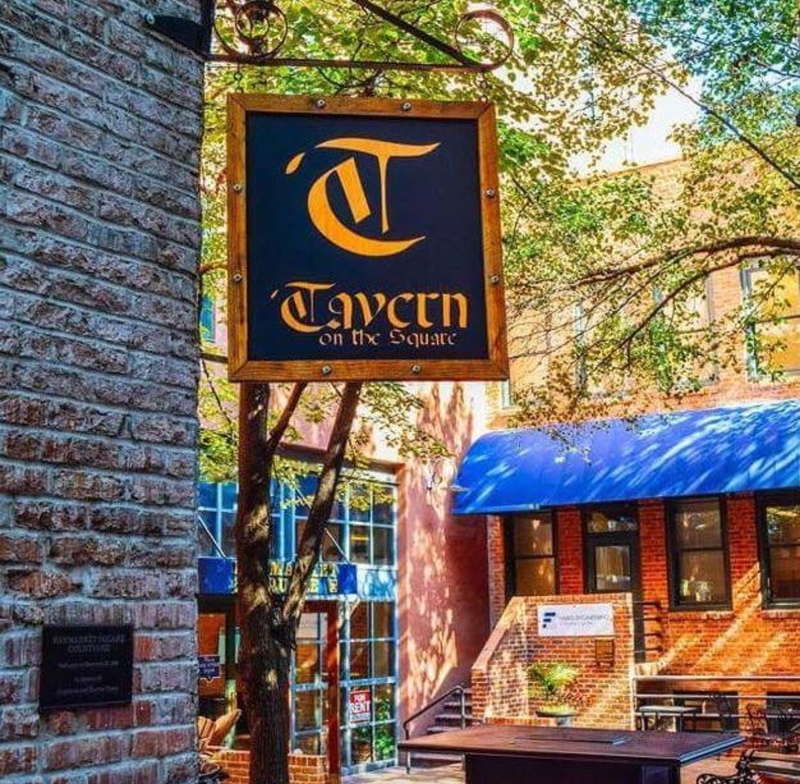 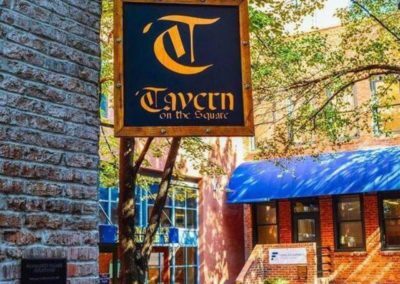 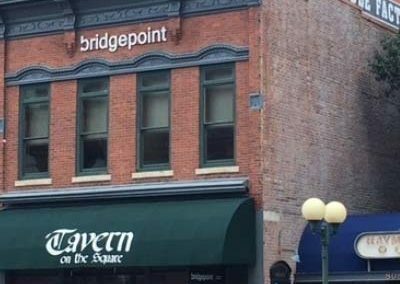 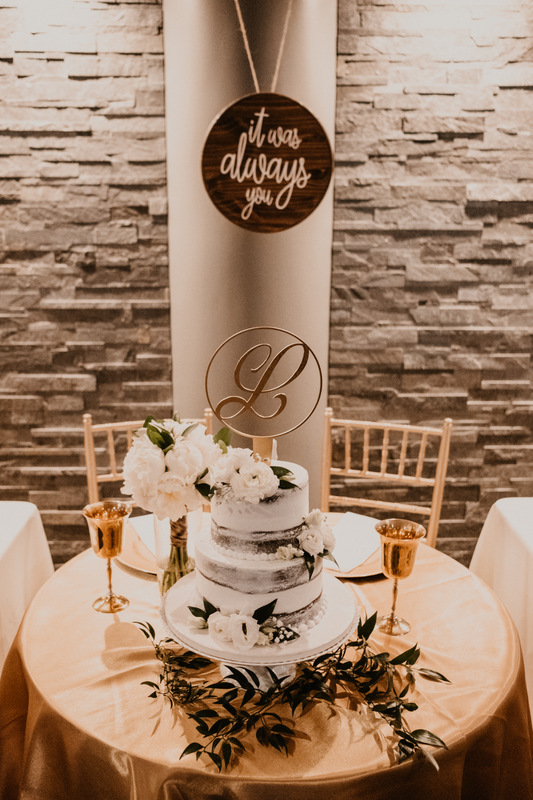 Some of the amazing upgrades included a new drop-in ceiling, new LED overhead lighting, new carpet, stacked stone backdrops to the head table and cake table walls, beautiful tiled walls inside the beverage area, and beautiful gold and white Chiavari chairs. 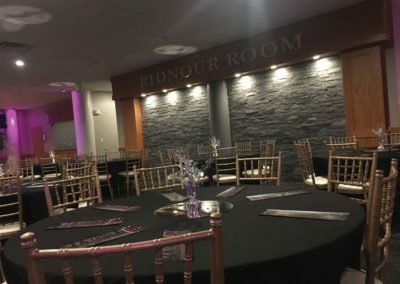 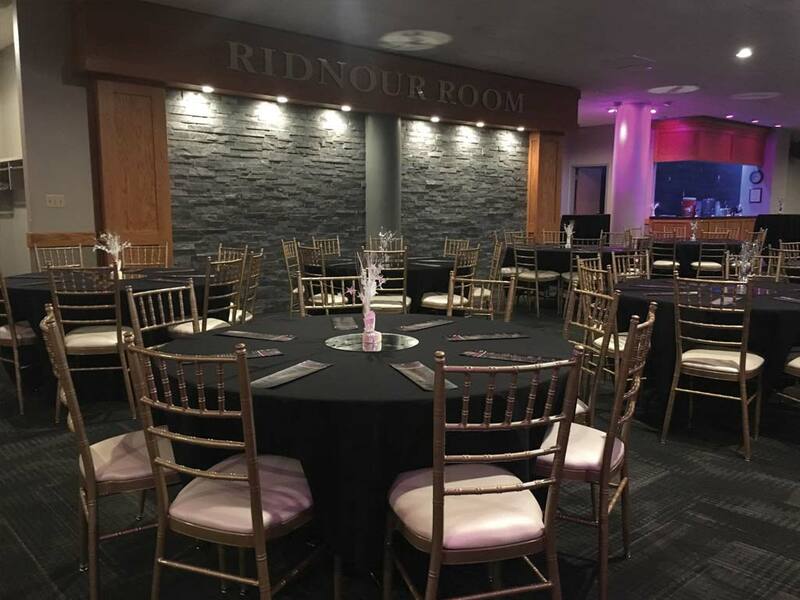 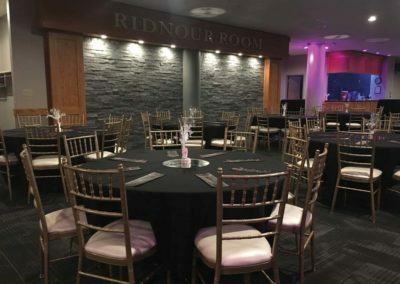 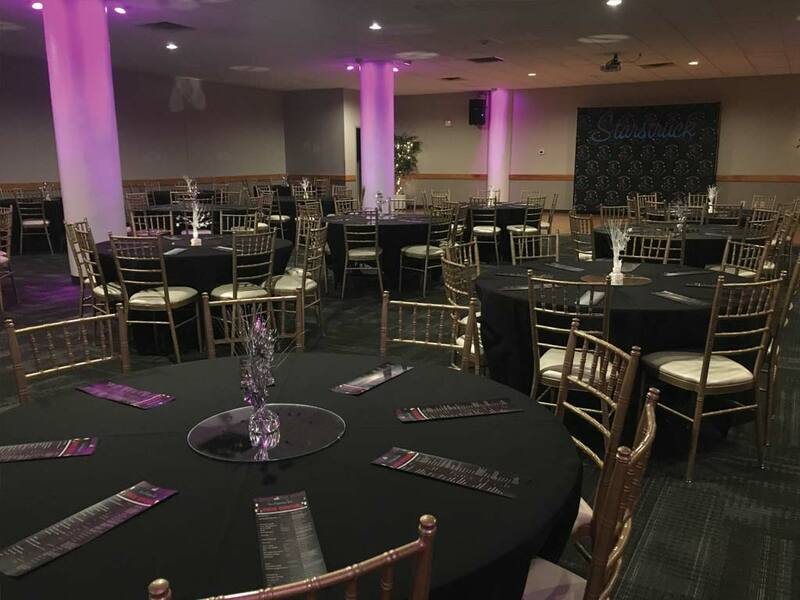 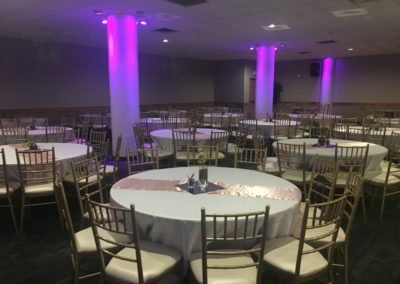 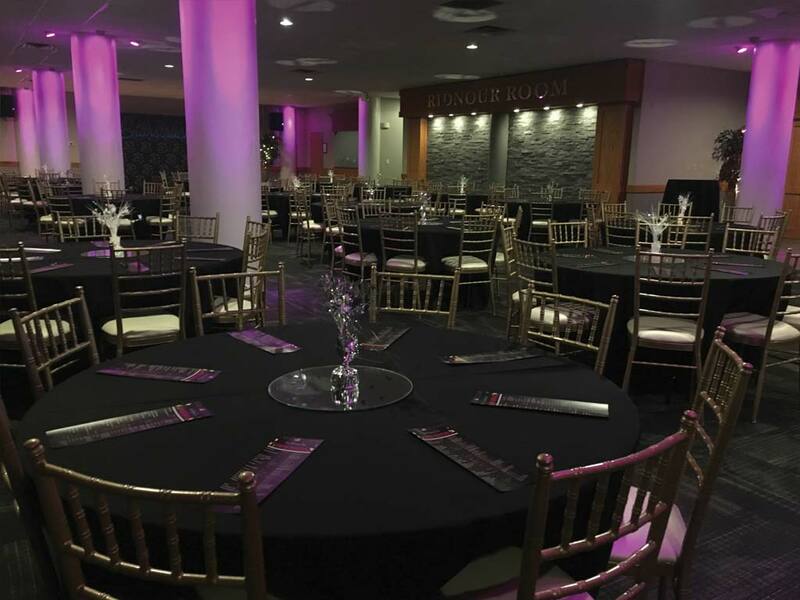 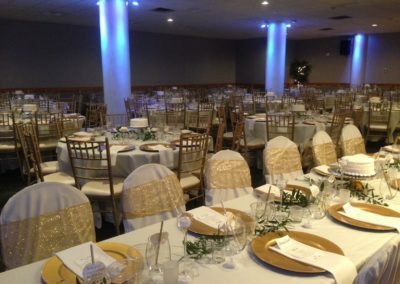 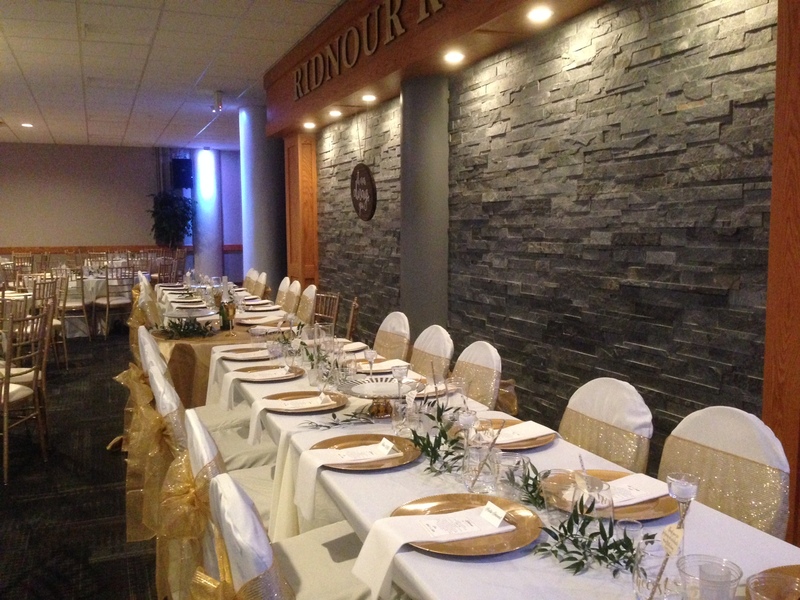 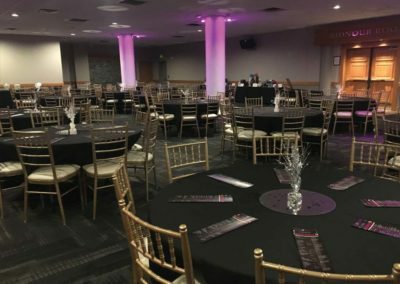 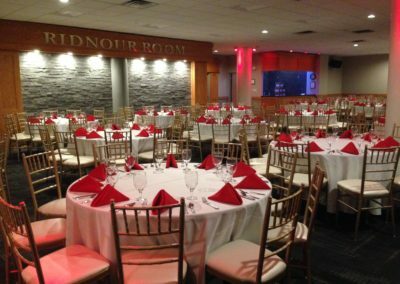 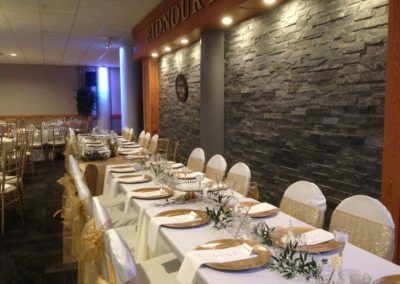 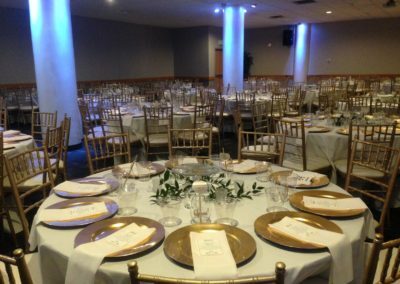 If you are looking for an elegant yet affordable venue, The Ridnour Room is exactly what you need! 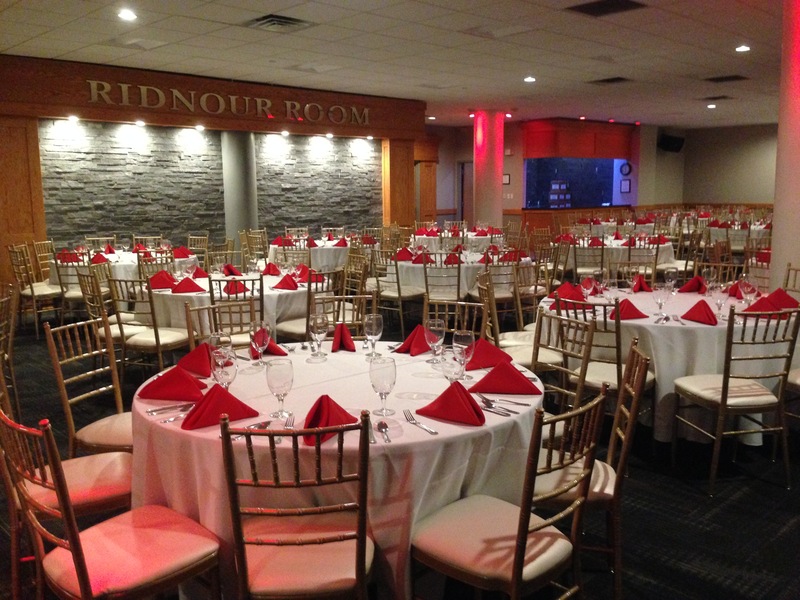 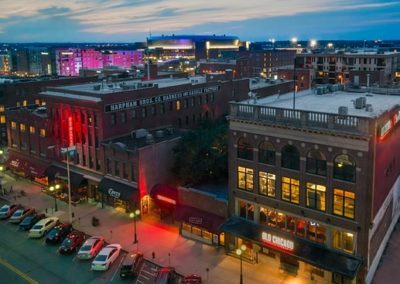 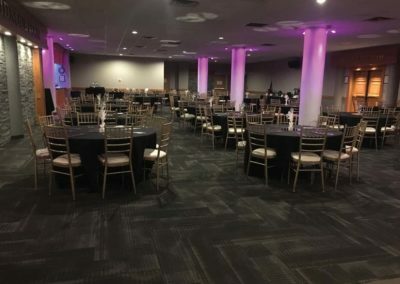 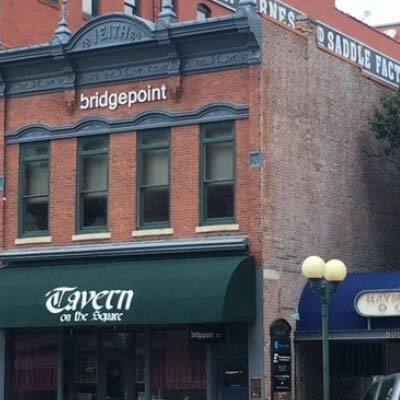 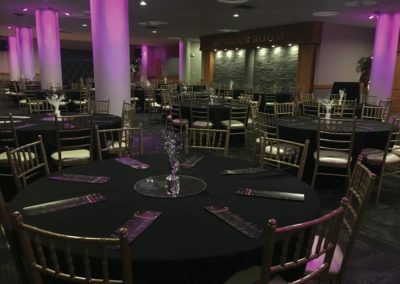 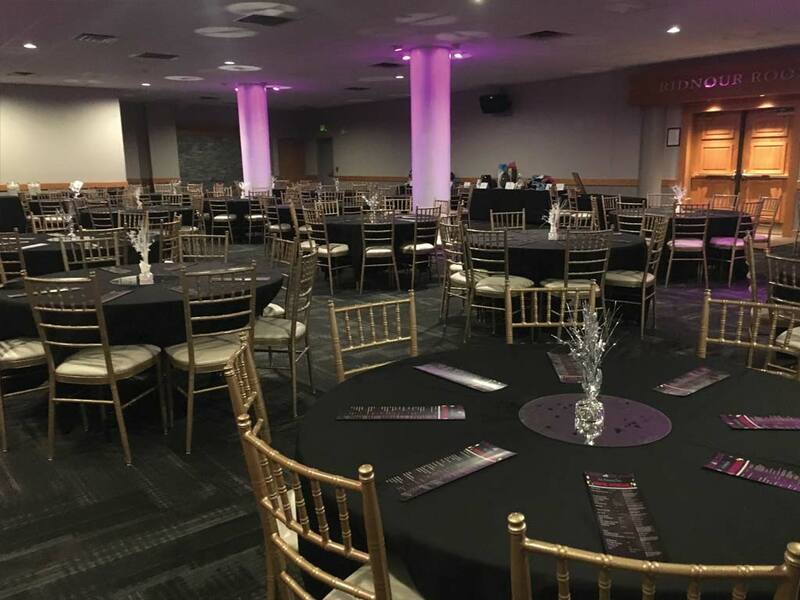 When reserving the Ridnour Room, you are provided with the flexibility to select any caterer to fit your taste and budget or we can handle all the details for a hassle free event. 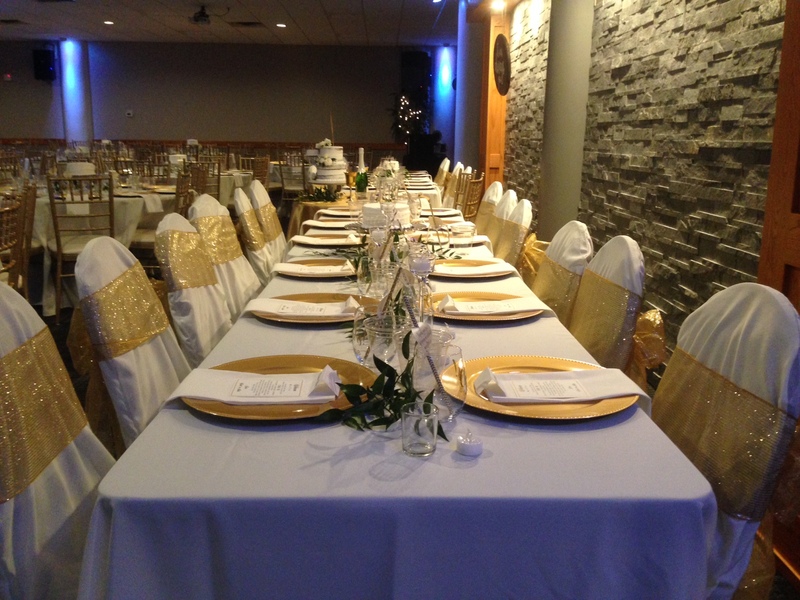 We also offer the option for you to self-cater your special occasion…all at no additional cost! 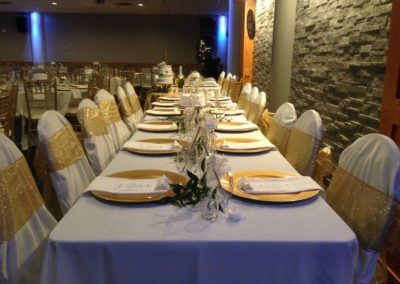 No matter which package you select, we will ensure that your special day is the way you dream it to be. 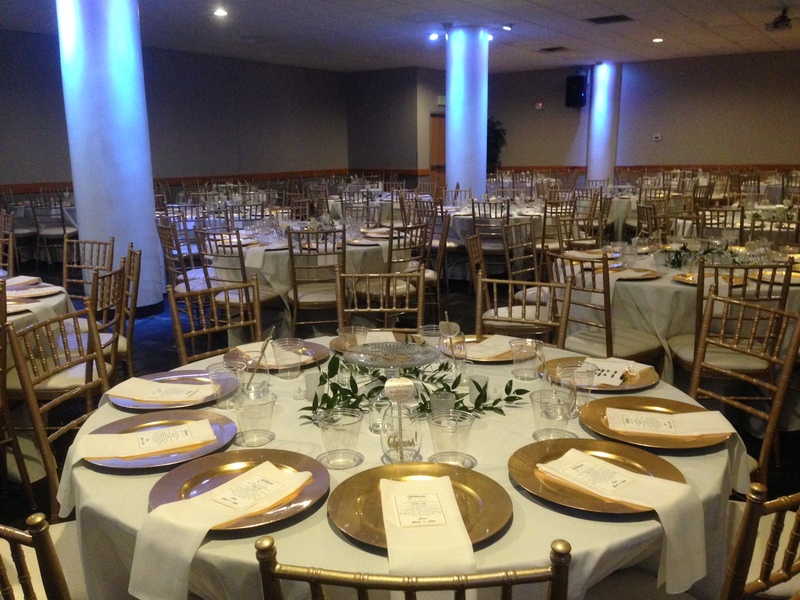 We provide elegant round tables and beautiful Chiavari chairs. 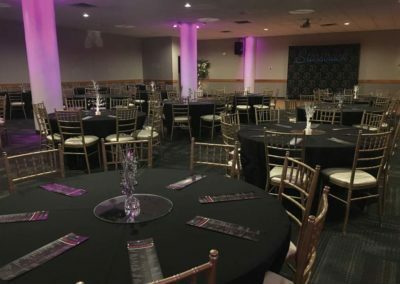 Our Event Coordinator will assist you with all the details and our staff will set up the facility in any way you desire. 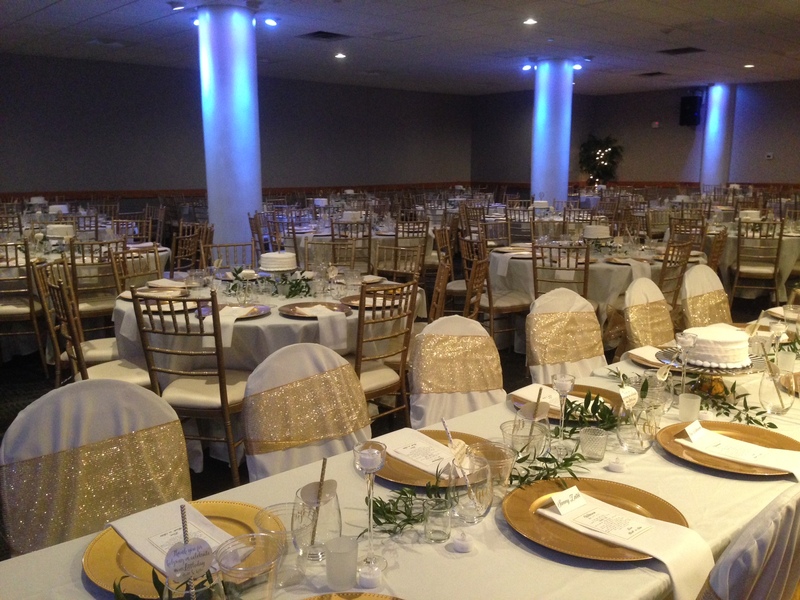 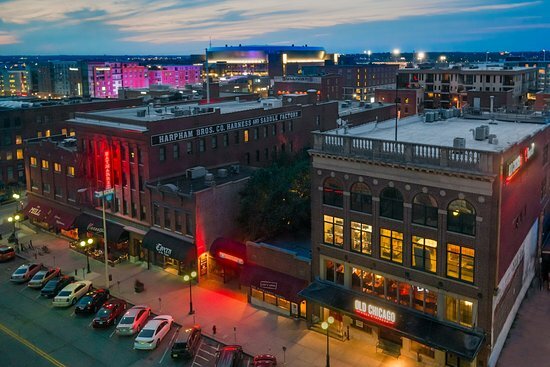 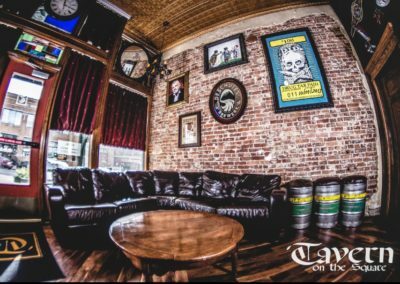 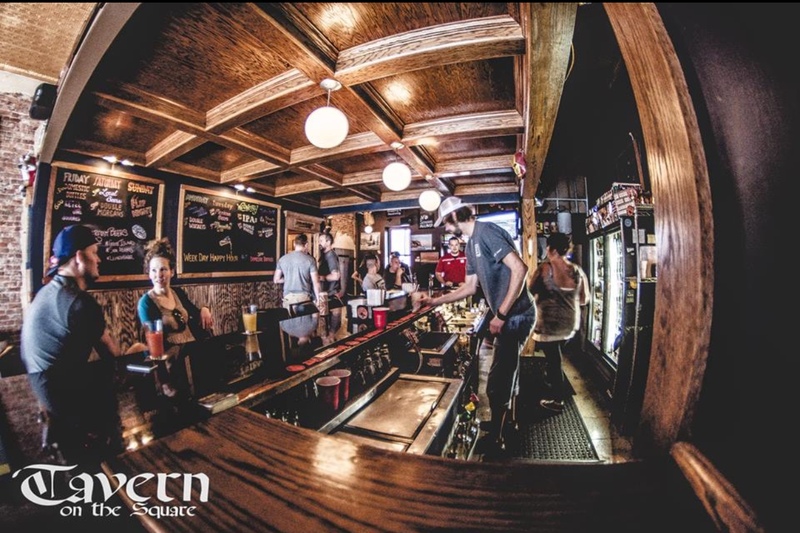 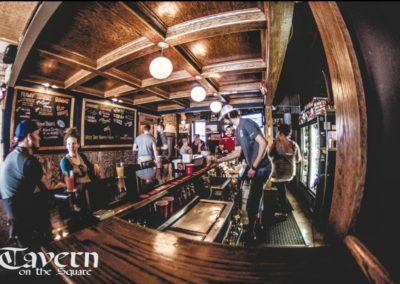 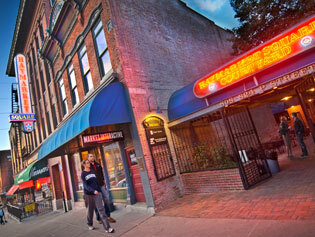 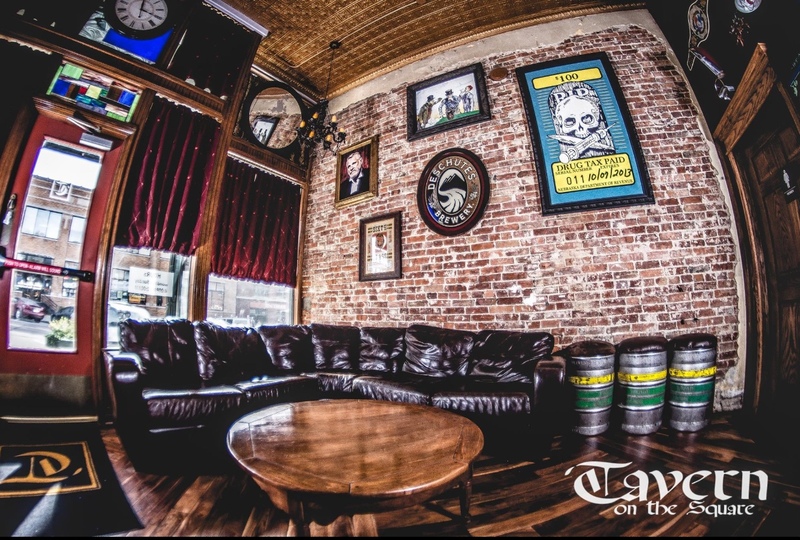 The facilities, flexibility and service we offer are unmatched by others.